Attention Dads and Grandparents! If you have little ones who are unsure of what to do for Mom on Mother’s Day, here is a wonderful craft idea that is fun and beautiful for kids of all ages. As a mother, I must tell you that we absolutely love to receive homemade gifts and cards from our children. 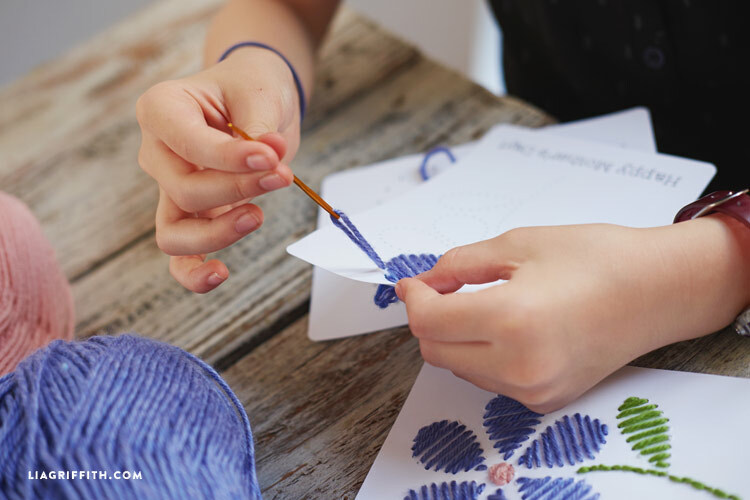 Making a string art yarn card is a pretty and easy way for kids to create something homemade as a Mother’s Day present. To make this card, you will need yarn and an embroidery needle. 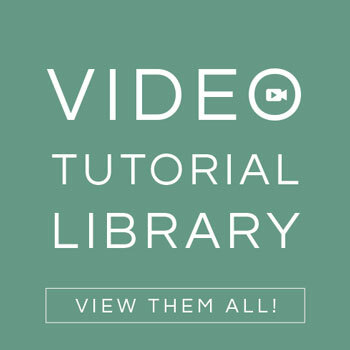 Begin by downloading our two yarn card templates below. 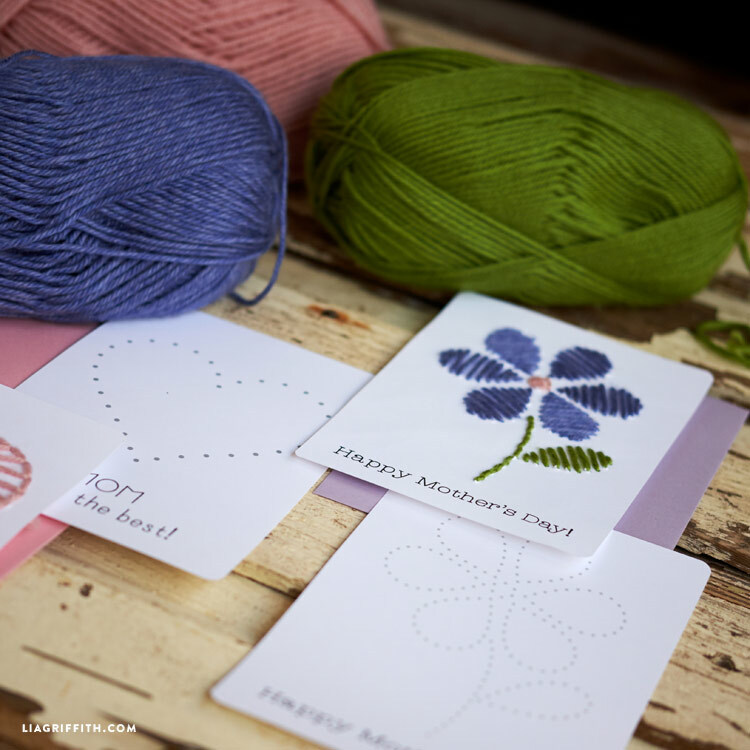 The first yarn card reads “Happy Mother’s Day!” with an adorable flower. 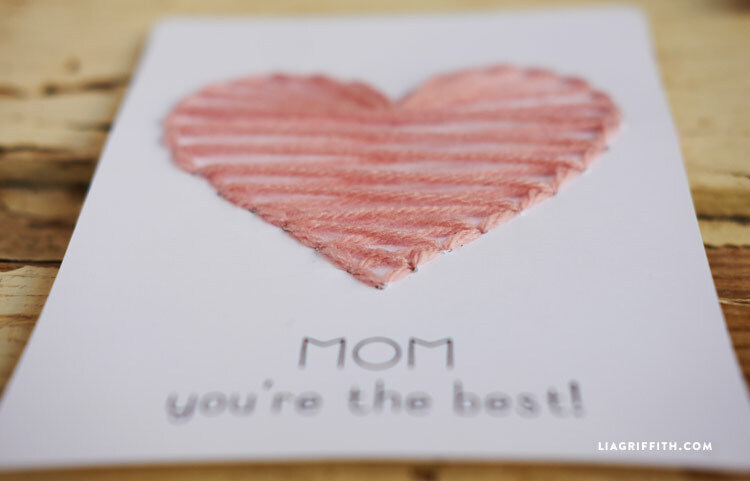 The second card has a classic heart with a message saying “Mom you’re the best!” Because the second yarn card does not specify the occasion, this card would also be great for Mom’s birthday. Simply print these cards onto 8.5 x 11 white cardstock. Next, you will thread your yarn into the card. For younger kids, I would recommend pre-punching the holes a bit using a thumbtack or awl so that the project is easier and safer. 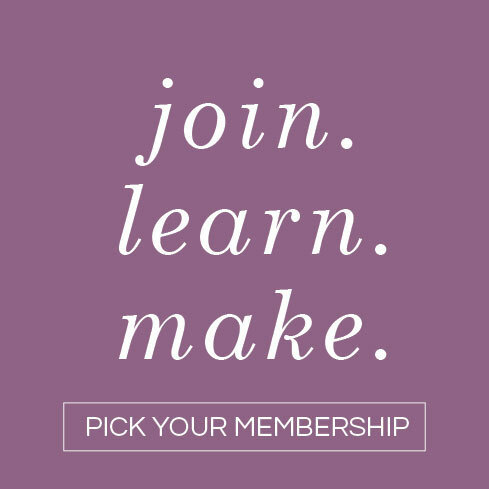 Choose any color of thread that you would like to personalize your yarn card. We chose a pretty pink for our heart and a periwinkle purple for the petals of our flower paired with a grassy green for the stem. To make the yarn card, simply prick the holes with your embroidery needle and thread the yarn through following all the dots on the card. The beauty of this project is that there is no specific technique! The only trick is that you must initially stick your needle through the card from the back and not the front. As long as you follow each hole after this, your card will turn out perfectly. Finish the card by tying off the yarn with single knots on the back of the card. Leave the card as is, or write a personal message in the blank spaces around the yarn! 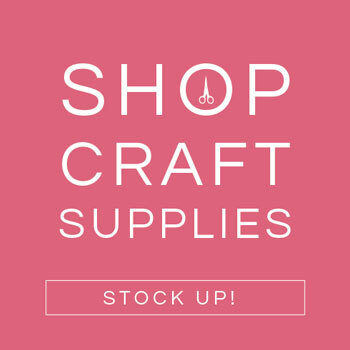 If you would like to slip this card into an envelope, find a pretty A7 sized envelope at your local stationery store. I am going to use this pattern with my Daisy Girl Scout troop. The moms are going to LoVe them! 🙂 I plan to pre-poke holes and let the girls use a plastic needle. Thanks so much! What a great idea! I need to buy the embroidery needles but it seems like there are a lot of sizes. Can you please tell me the size/style of needle you used? Altho a few Mothers I know aren’t mine, would love to make this card for them. Will be fun activity besides keeping hands out of cookie jar. Now if had way to keep me out of Burger King, sigh. Maybe grand daughter would like to make card for her Mom. Will show this to her, great project for all of us. So glad you made this available for Mother’s Day. Would like to make one for future daughter -in-law, get it off to her right away. After having 2 dil’s would be so nice to have one to like me. Hoping to like her a lot.